(scale pict factor) → pict? (scale pict w-factor h-factor) → pict? Scales a pict drawing, as well as its bounding box, by multiplying it current size by factor (if two arguments are supplied) or by multiplying the current width by w-factor and current height by h-factor (if three arguments are supplied). The drawing is scaled by adjusting the destination dc<%>’s scale while drawing the original pict. (scale-to-fit pict size-pict [#:mode mode]) → pict? (scale-to-fit pict width height [#:mode mode]) → pict? 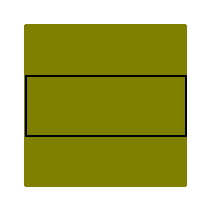 Scales pict so that it fits within the bounding box of size-pict (if two arguments are supplied) or into a box of size width by height (if three arguments are supplied). If mode is 'preserve or 'preserve/max, the width and height are scaled by the same factor so pict’s aspect ratio is preserved. If mode is 'preserve the result’s bounding box will not be larger than width by height but it may be smaller. When mode is 'preserve/max, the opposite is true; the bounding box will never be smaller, but might be larger. If mode is 'inset or 'inset/max, the aspect ratio is preserved as with 'preserve and 'preserve/max, but the resulting pict is centered on a bounding box of exactly width by height. If mode is 'distort, the width and height are scaled separately. Changed in version 1.4 of package pict-lib: Added #:mode argument. (rotate pict theta) → pict? Rotates a pict’s drawing by theta radians counter-clockwise. 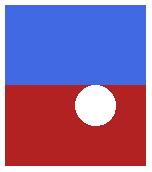 The bounding box of the resulting pict is the box encloses the rotated corners of pict (which inflates the area of the bounding box, unless theta is a multiple of half of pi). The ascent and descent lines of the result’s bounding box are the horizontal lines that bisect the rotated original lines; if the ascent line drops below the descent line, the two lines are flipped. Creates a container picture that doesn’t draw the child picture, but uses the child’s size. (linewidth w pict) → pict? Selects a specific pen width for drawing, which applies to pen drawing for pict that does not already use a specific pen width. A #f value for w makes the pen transparent (in contrast to a zero value, which means “as thin as possible for the target device”). (linestyle style pict) → pict? Selects a specific pen style for drawing, which applies to pen drawing for pict that does not already use a specific pen style. (colorize pict color) → pict? Selects a specific color drawing, which applies to drawing in pict that does not already use a specific color. The black-and-white parameter causes all non-white colors to be converted to black. (cellophane pict opacity) → pict? Makes the given pict semi-transparent, where an opacity of 0 is fully transparent, and an opacity of 1 is fully opaque. See set-alpha for information about the contexts and cases when semi-transparent drawing works. Clips a pict’s drawing to its bounding box. (inset/clip pict amt) → pict? (inset/clip pict h-amt v-amt) → pict? (inset/clip pict l-amt t-amt r-amt b-amt) → pict? Insets and clips the pict’s drawing to its bounding box. Usually, the inset amounts are negative. Like the scale procedure, but also sets current-expected-text-scale while evaluating pict-expr. A parameter that determines whether colorize uses color or black-and-white colors. Creates a bitmap with the same size as pict, draws pict into the bitmap, and then returns a pict that draws with the bitmap. This has the effect of speeding up subsequent drawing of the pict and also of cropping it to its bounding box. Any sub-picts of pict remain intact within the new pict.